A General Stock Option Agreement Template is a legal contract between a company granting a stock option and the individual or entity receiving the stock option; an option agreement is usually very brief letter or write up that refers to (and typically incorporates by attachment) the company’s governing stock option plan, and stipulates the date of the grant, the number of shares of stock in the grant, the vesting schedule, and the strike price. 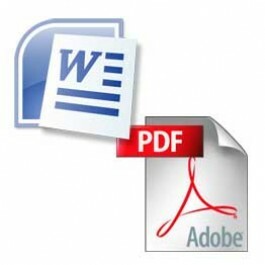 This general stock option agreement Template is in fillable pdf format as well Microsoft Word File. OWNER grants to OPTION HOLDER the right to purchase 500 shares of common stock of [Name], Inc., referred to as ISSUER at a purchase price of $_________________________________________________ (& no/100 dollars) per share, on or before ______________________, 20 _____________. In the event that a stock dividend, split or other recapitalization takes place prior to the exercise of the option, the purchase price per share shall be adjusted to the equivalent amount, and the number of shares adjusted to the same number of shares. Prior to the shares being delivered, the OPTION HOLDER shall execute the shareholder's agreement dated _________________________, 20 ___________. The shares to be conveyed herein are not registered with the United States Securities and Exchange Commission, or that of any other state. OPTION HOLDER shall be required prior to delivery of the shares to certify that the shares are not being purchased for resale and that OPTION HOLDER's purchase shall not result in the necessity of the registration of the securities. OPTION HOLDER shall be required to comply with any other restrictions which may be now, or in the future, set by ISSUER. OPTION HOLDER shall not be entitled to a refund should it be unable to purchase the shares, and prior to the execution of this agreement, OPTION HOLDER should confirm its eligibility to purchase through ISSUER.